Mike Bliss picked up the 11th last-place finish of his NASCAR Sprint Cup Series career in Sunday’s Auto Club 400 at the Auto Club Speedway of Southern California when his #19 G-Oil Toyota fell out with a broken fuel pump after he completed 44 of the race’s 200 laps. The finish was Bliss’ second of the 2013 season and his second in a row. He is the first repeat last-place finisher this Sprint Cup season. It is also Toyota’s 100th last-place finish in the series since its debut in 2007. Toyota’s first Cup Series last-place finish was scored on May 13, 2007 by Brian Vickers, whose #83 Red Bull Toyota fell out with crash damage after 122 laps of the Dodge Avenger 500 at Darlington. Only 43 cars showed up to qualify for Sunday’s race, so Bliss locked himself into the field with a lap of 178.355 mph, good enough for the 41st spot. 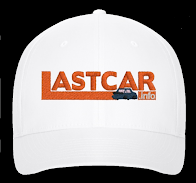 Absent this week was Scott Speed and the Leavine Family Racing Team, following three finishes of 40th or worse since the Daytona 500. 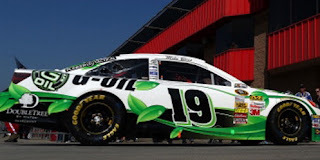 Sunday would see the first points race appearance of Bliss’ G-Oil sponsored #19 Toyota since it missed the field for the 500 last month. In the early stages of the race, Bliss’ car was easily confused with the black-and-white Interstate Batteries Toyota of race leader Kyle Busch. While Busch led, Bliss exchanged the 43rd spot with Joe Nemechek and, later, Scott Riggs. Riggs made Sunday’s field as a result of Speed’s withdrawal, allowing the #44 Xxxtreme Motorsports team to bounce back from their DNQ at Bristol. However, the second caution put young Nationwide regular Timmy Hill and his #32 OXY Water Ford back to the 43rd spot. On Lap 37, Hill, making his season debut and his sixth career start, lost an oil line in turns one and two, causing several front runners to smack the outside wall. 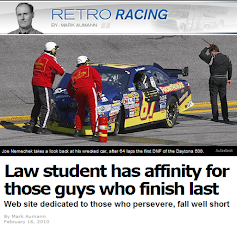 Hill spent more than seventy laps behind the wall for repairs while Bliss, Riggs, and defending LASTCAR Cup Champion Michael McDowell pulled out of the race. After Hill returned to the track near the halfway point, Bliss slipped to 43rd. *This was Bliss’ second last-place finish at Fontana and his first since 2009, when his #09 Miccosukee Resorts & Gaming Dodge fell out with engine trouble after 11 laps of the Pepsi 500. *This was the first last-place finish by a Cup driver due to fuel pump issues since 2009, when David Gilliland’s unsponsored #71 TRG Motorsports Chevrolet fell out after 27 laps of the Southern 500 at Darlington. *This was the first last-place finish for the #19 in a Cup race at Fontana. Really thought Hill would get last, did not expect him to come back out. If Hill had gotten last, we would have five different last place finishers in both Cup and Nationwide. 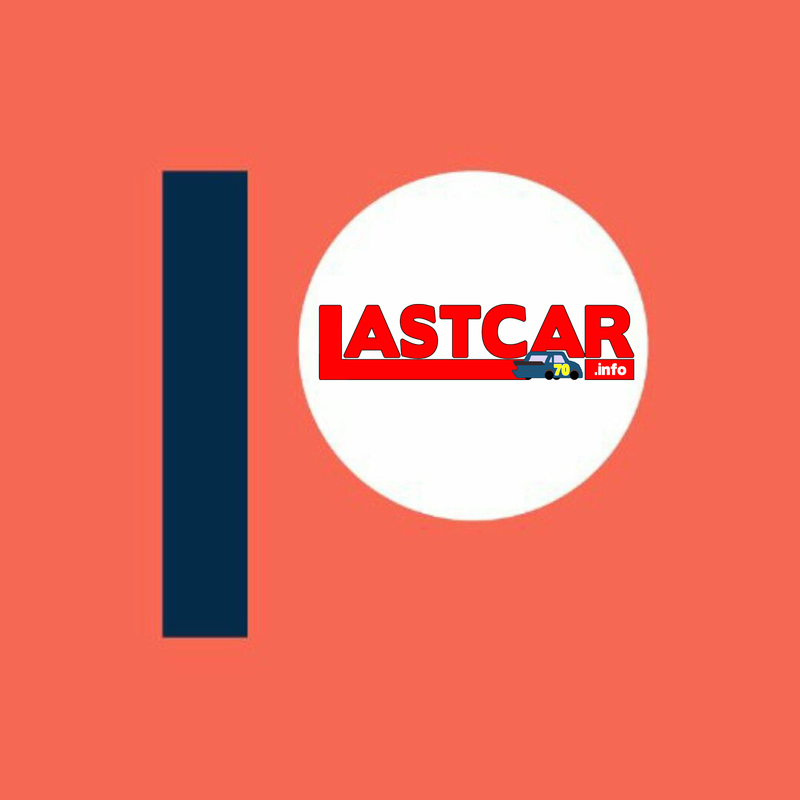 No one has really shown that they are determined to win the LASTCAR title yet. Any predictions Brock? A very tough call at this early stage, UF89. Mike Bliss certainly looks like the early favorite, although I suspected Scott Speed would string together some 43rd-place runs since he's been in the Bottom Five consistently since Daytona. 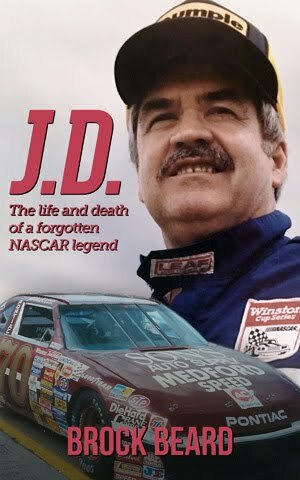 I hope he and the #95 team come back to the track soon. On the other side, it's been great to see Joe Nemechek be able to run full races after his partnership with Jay Robinson Racing over the offseason, and I'm hopeful that Michael McDowell will get some more full-race runs to follow-up his sterling Daytona 500 finish. That's a good question, Alex. I think that's what's going on with the #19 team, but then again they did still pull out of the race really early. I don't know if they actually had technical issues or something. It could also be that the G-Oil car is only for the superspeedways while they run the black car at the short tracks. If I remember correctly, he attempted to get the G-Oil car into the show at Vegas, too.